Around 40 kilometreeast of Kargil heading toward Leh is Mulbekh, the first village of Ladakh. It is considered to be the birth place of next incarnation of Maitreya Buddha. Mulbekh’s foremost sight is a 1000-year-old Maitreya Buddha statue, carved into an 8m fang of rock. It’s right by the roadside, rising through the middle of the minuscule Chamba Gompa. 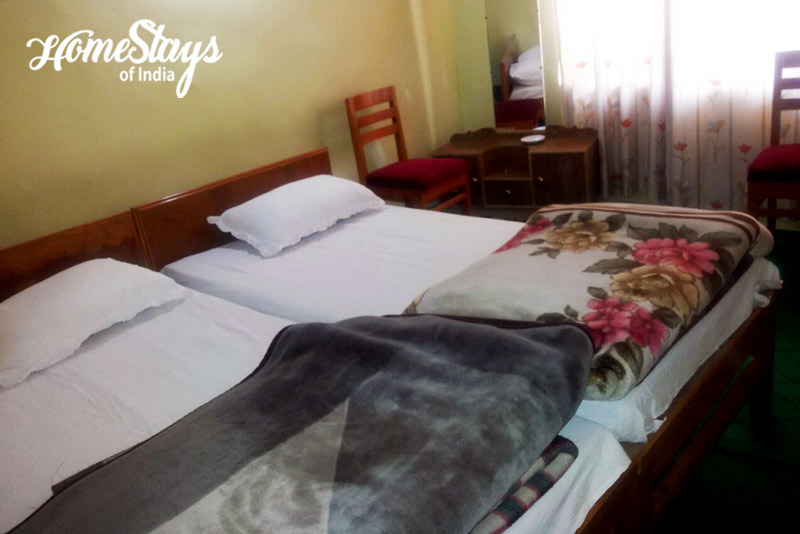 Mulbekh Homestay is a blend of modern and traditional Ladakhi style. 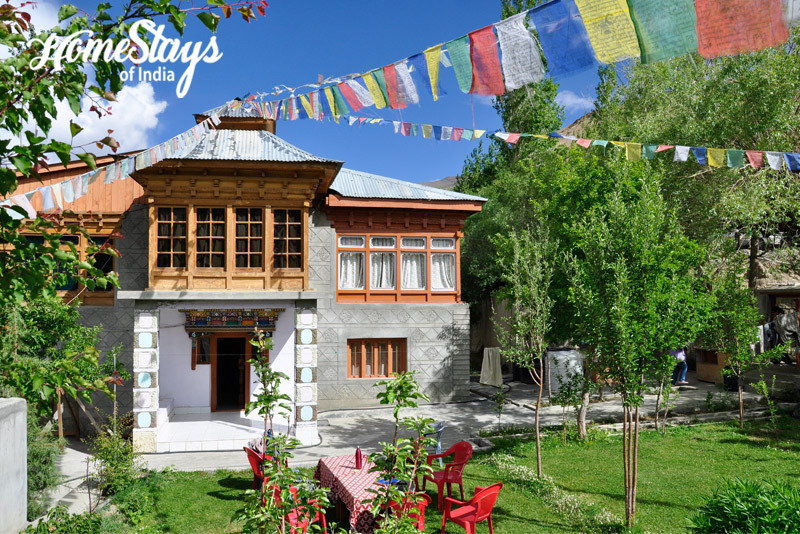 Located right on the highway it gives you the first feel of Ladakh. 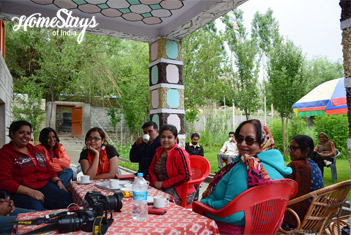 It has a traditional dining hall where Simu, the host serve Indian and Ladakhi food. If you like, Indian and continental breakfast can be served in the garden under cozy sun light. Simu, a young Junior Engineer by profession takes care of the home with her mother. 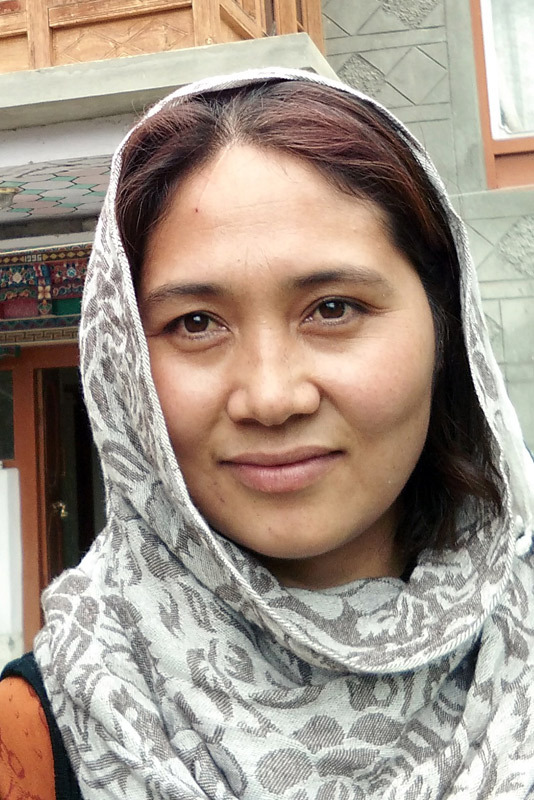 Like mostly in mountains, she is a shy woman but a good cook and very hospitable. 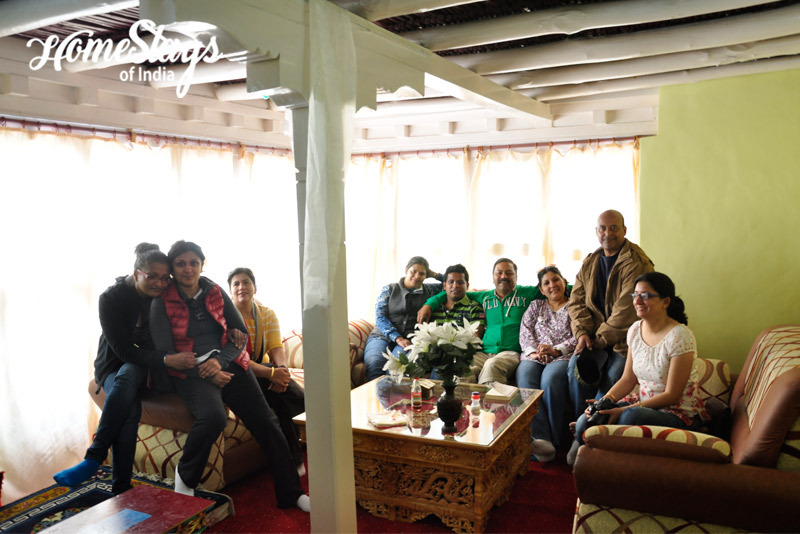 Simu’s kitchen serves homemade Indian, Tibetan and Ladakhi food. 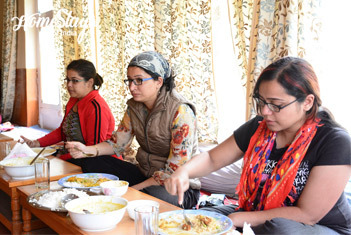 Breakfast as per guest choice like, Paratha, Sandwich, Butter Toast, and Bread Omelet etc. can be served.